Earlier this week, a sports car photographer had what will easily be the worst photo shoot of his life. 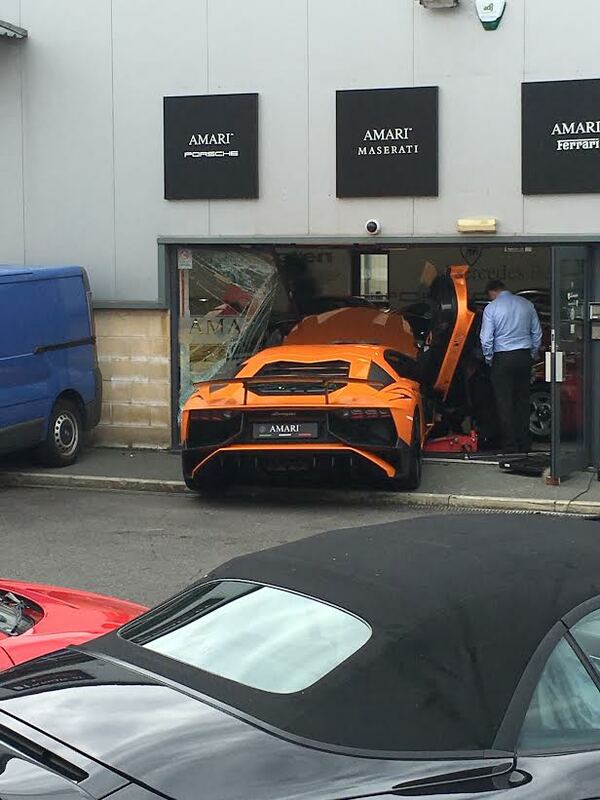 While preparing for a shoot at Amari Supercars in Preston, England, a man believed to be the photographer drove a Lamborghini Aventador through the front doors of the luxury showroom, leaving behind shards of glass and tens of thousands of dollars in damage. Lamborghini Aventadors are capable of reaching speeds over 200 mph and start at around $400,000 for the base model — not exactly the type of car you want to run through a window during a photo shoot. Thankfully, no human injuries resulted from the accident, despite an ambulance being called to the scene per protocol.